Italian immigrant to California, Lella York, is the first-person protagonist of this second book in the Lella York Mysteries. 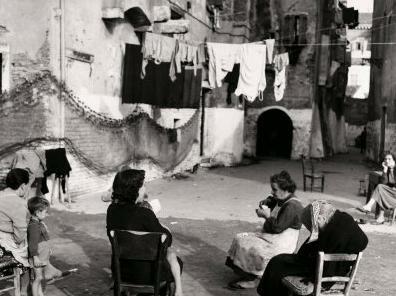 To understand Lella, and her volatile Italian charm, one must realize that you can take the woman out of Italy, but you can't take Italy out of the woman. Lella is insecure, emotional, impulsive, reticent and easily hurt, which explains why she drops everything in California and flies to Venice, Italy. She fears her lover, Larry, will leave her to be with his ex-wife, so Lella seeks comfort with her adult son, an actor wrapping up a film in Venice. 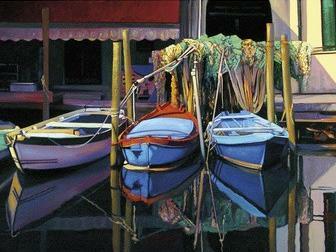 Lella gets to share serene Venice with her son and with Larry, her love. If you have read the first book in this entertaining mystery series, which I highly recommend, and which is reviewed on this site, then you will realize that two years have passed since the end of that story. 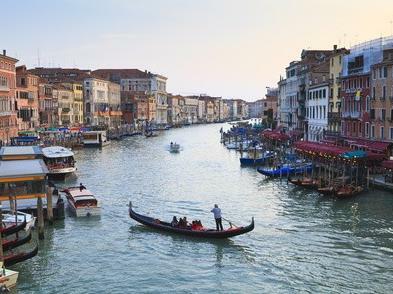 Death Under the Venice Moon is set in the recent past. Enough time has passed for Lella and Larry's relationship to mature. Despite Lella's jealous flair-up, Lella and Larry now form a wonderful couple, rich with diversity, and rich with understanding and affection. Lella's interactions with Larry are one of the biggest joys of the book, for me, anyway. 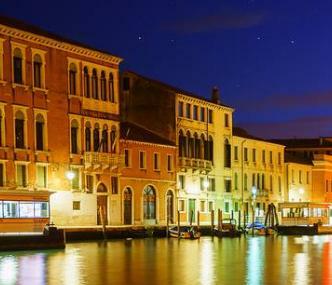 Lella's hotel in Venice is not as spectacular as the famous Danieli's Hotel, but it is pretty wonderful all the same! The other key relationship for Lella is with her only child, Kyle. He has grown up with a mother who is always a bit out of place: in the U.S. and in Italy. Kyle can be frank with Lella, in a way that only children tend to be. Here Kyle is wondering how it is that his mother always seems to be in the middle of mysteries. He stared at me for what seemed like forever. "Mom, you know what? I just realized you have a knack for making people disappear." Until Larry ends up in Europe, it is Kyle and Lella's relationship that keeps our attention. Their mother-son dynamic is interesting and loving, with both struggling to keep a healthy distance so the other can grow and enjoy a life of their own. That relationship distracts us from the fact that the mystery is slowly developing. Odd things happen to Lella. She finds herself in unusual situations, in which she reacts unpredictably, compounding the situation, adding to the underlying humor of the series. Lella York, the self-proclaimed queen of passive-aggressive behavior. I should write a book on the subject. Someday. At the beginning of book two, there appear unexpected links to the previous book, Murder Under an Italian Moon. Although you don't have to, I would suggest reading the books in order, so as not to ruin the growth of Lella's relationships with both Kyle and Larry. I would have liked a greater use of past-perfect verb forms to aid clarity, and I noticed a handful of typos. But after the first few pages of Death Under a Venice Moon, I felt like I was catching up with an old friend whom I hadn't seen for a while. It was a nice feeling; a book friend. And the ending of the book was delicious! I'm looking forward to meeting up with Lella in her next book! 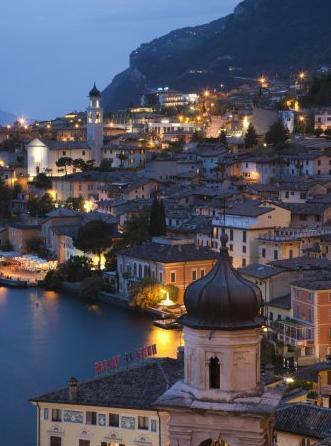 Lella even gets to spend a night in a Lake Garda home, overlooking the lake and the twinkling lights. 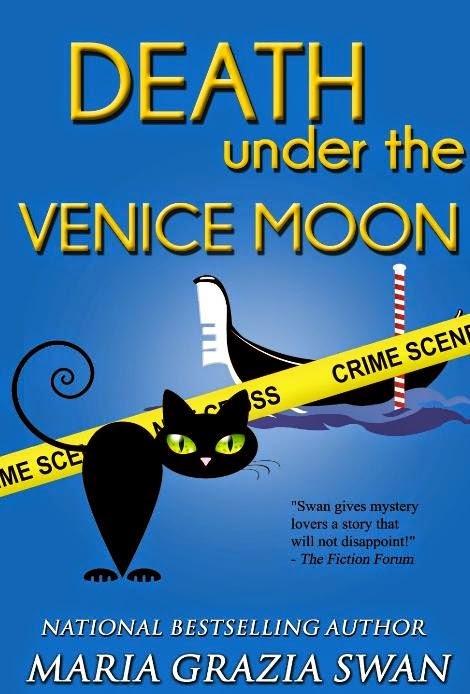 Death Under the Venice Moon and the Lella York Mysteries are published by Gemma Halliday Publishing, a small publishing house that specializes in romantic mystery series. 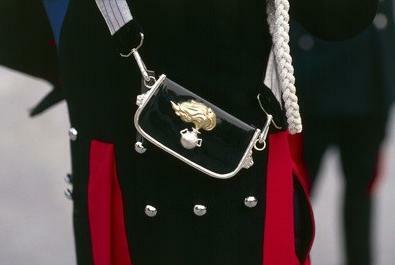 Lella being Lella, gets to spend some time in the company of Italy's police and Carabinieri! The author, Maria Grazia Swan, has another series that features an Italian woman who has moved to the U.S., The Mina Calvi Adventures series (reviewed on this site). There are four books so far, available both as Kindle e-books and as paperbacks. Love, love, love this blog. Adoro questa blog e anche il vido di Chioggia, grazie mille. Thank you so much, got all emotional watching it.